Any good mixologist will tell you: The thing that makes a great cocktail stand apart from a good one is proportion. Yes, having quality product always helps, sometimes a lot. 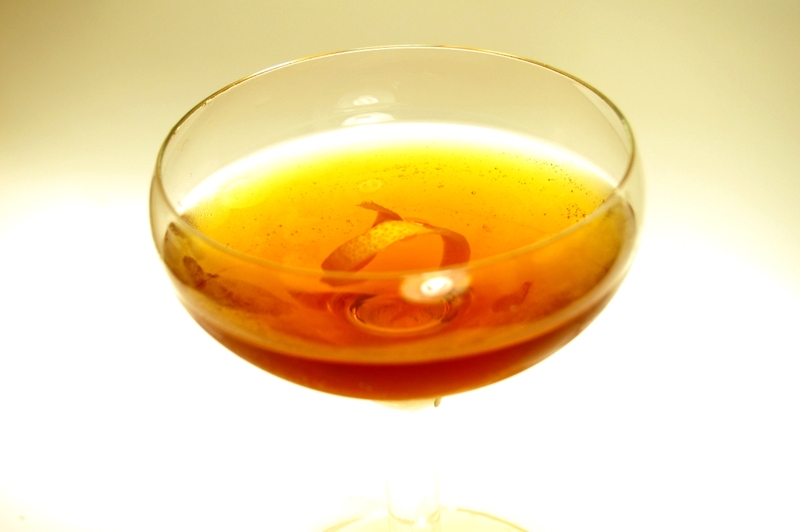 However, a strong case can be made that the true skill of a bartender/cocktail creator is in getting the ratio just right, turning average booze into a mouthwatering beverage. When Rose and I sit down to craft a new cocktail or to recreate something we had out at one of our favorite bars, we spend most of our time fussing over how much or this or that should be in the drink. It can often take us three, four or five tries to get it right. It's hard work, really, but someone has to do it. And always remember, dear reader, that we do it for you... all for you! All that being said, I've had a thing for equal proportions lately. Perhaps due to my summertime obsession with the Negroni*. When I came across this recipe for The Lamb'[s Club while thumbing through Mark Holcomb's cocktail book library, I figured I'd give it a try. Combine ingredients into a mixing glass over ice, stir and serve with an (optional) lemon twist. Following the above mantra that proportions are more important than ingredients, I intentionally left out the brands of gin and vermouth that I used from this recipe. I really believe that most any will do well for this. Just make sure that your vermouths are fresh and your gin doesn't come in a plastic handle. Although we usually tinker with the ratios when we try a new recipe, I have to say that the Lamb's Club really was delightful just as is. The combination of gin, vermouths, and Benedictine provides a great balance between dry and sweet, herbaceous and spiced. A great way to drink your gin in the winter or your Benedictine in the summer. 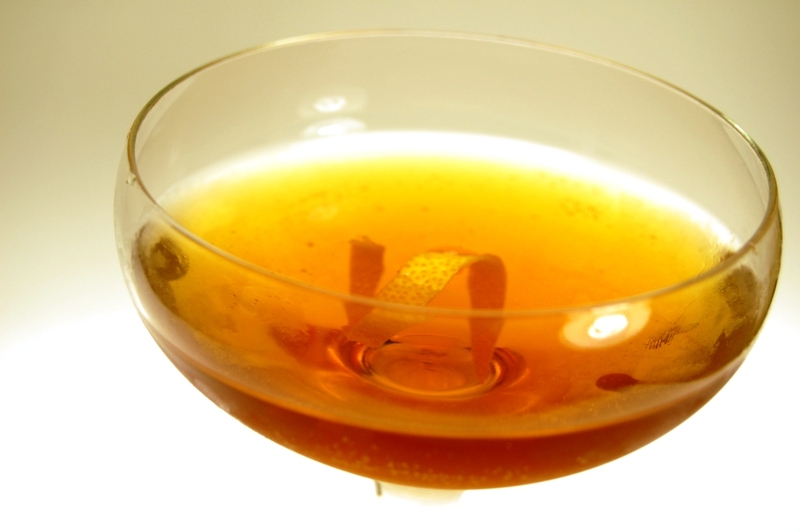 *Check out this Bartender Re-education post at Cask Strength for more info on the Negroni family of cocktails.